lol milk? wtf miroku? i didnt know milk was a backround. lol it should say "Got milk?" 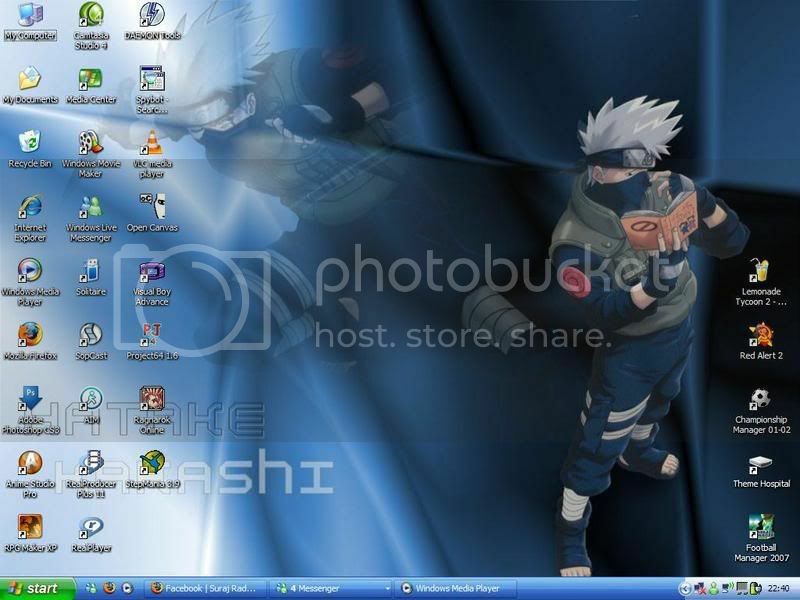 Here is my weird desktop. Please don't hate it. yea its kinda stuffed *crys* with the whole black background i cant change it i gave it to my dad so he could give it to his friend to fix but i donts what to lose my files...btw im on mt friends laptop. 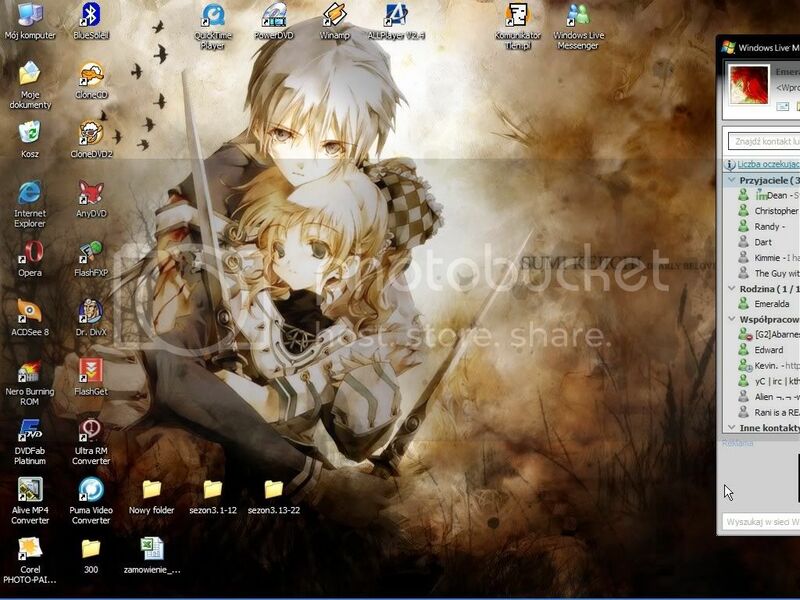 but my desktop used to be L from death note with all the death note rules everywhere which was pretty awesome. maybe vista came with a virus,lol. I'm just joking. Anyway my desktop is under construction so I can't take a pic right now.